Pass & Seymour 2-Pole 3-Wire Tamper-resistant receptacle in ivory color, has voltage rating of 125-Volt AC and current rating of 20-Amps. It withstands dielectric voltage rating of 2000-Volts. With back and side wired termination, this receptacle accommodates 14 - 10-AWG copper conductors. The 688 nickel-plated brass contact ensures optimal conductivity. 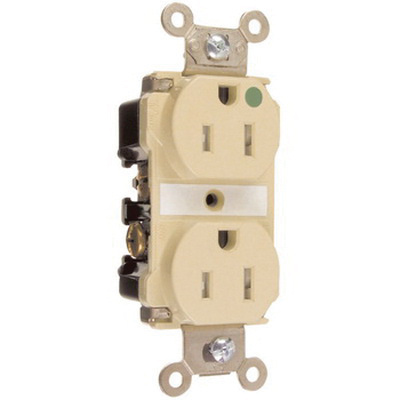 This automatic grounding receptacle features nylon face and back body. This duplex receptacle comes in NEMA 5-20R configuration. It measures 1.625-Inch x 0.9-Inch x 3.281-Inch. The thermoplastic dual mechanism shutter system of the receptacle blocks foreign objects from entering. It circuit label on the face allows permanent circuit identification. This receptacle has accessed break-off tab that allow easy two-circuit conversion. Receptacle features brass strap for superior assembly security. It has #10 tri-drive brass clamp and screw that allows for easy external wire management. This receptacle comes with brass auto-ground clip for longer consistent contact pressure. The tri-drive steel screws help to mount the receptacle safely. It withstands temperature range of -40 to 60 deg C. This hospital -grade receptacle is suitable for health care, education and institutional purposes. It has flammability rating of V2 per UL94 to withstand harsh environmental conditions. 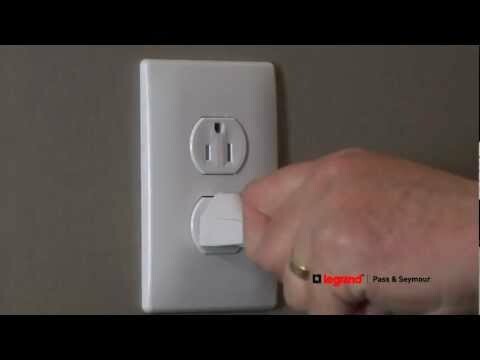 Receptacle is UL listed, CSA certified and RoHS compliant.